While I understand people being frustrated at Stephen Drew and his anemic postseason at-bats, I marvel at the man’s defensive prowess and am very happy to have him in the field for these games. There, I said it. Going into this series I was hoping for a sweep and expecting them to have to play six games. So if we have to suffer through a loss or two with the final outcome being the Boston Red Sox win the 2013 World Series in Fenway Park…well, I can deal with that. I will say that I surprised myself by having a few moments last night of utter frustration where I actually yelled at the television. Lately the TV yelling has been solely for the purposes of telling Joe Buck and/or Tim McCarver to shut up. But last night I couldn’t help myself because I hate errors. I hate them. Less so in real life than in baseball because I easily forgive mistakes in real life. In baseball they make me a bit stabby. So last night was a little on the painful side. But here’s to a day off and a relaxing flight to St. Louis for the team. I’ve said this for years* and it’s still true: After 2004 and then 2007, I have a very difficult time getting upset over baseball-related things like losing one game…even if it is in the World Series. 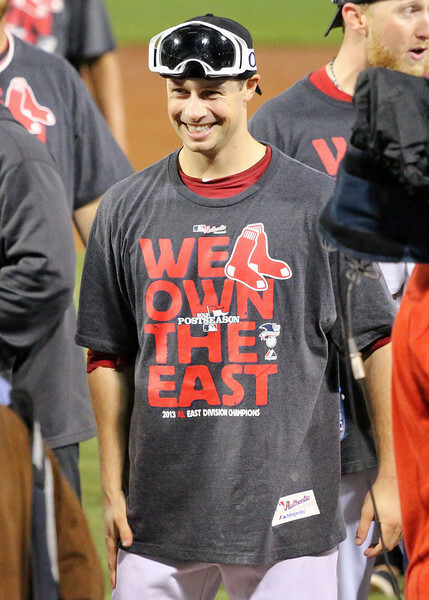 All in all, I hate to see the Red Sox lose and this, at the very least, annoyed me but it hasn’t disheartened me. On the way into work this morning my Red Sox hoodie triggered a bus-wide discussion of last night’s game and the entire season, really, with the bottom line seeming to be for most that right now we’re, as they say, playing with the house’s money and while it stinks to watch your team lose, seeing them come as far as they have has been reward enough for sticking with them through September 2011 and all of 2012…so whatever else we get from here on out is pretty much gravy. *The one sure way to get me out of any kind of post-losing funk is for me to sit back and realize that I can begin a sentence with “I’ve said this for years…” in regard to talking about the last time the Red Sox won the World Series. I need to keep remembering how much it means to me that my father, who will turn 79 during the 2014 season, lived 69 years before seeing his favorite team win it all…and now he’s seen them win it twice with a good chance of seeing them do it a third time. (I should mention that my mother waited just under 58 years and is just as passionate about them as he is!) Remembering the looks on both of their faces on October 27, 2004 brings both smiles and tears…and I’m eternally optimistic that we’ll be celebrating this team this October as well.